Mindfulness meditation has origins in Tibetan Buddhism and has been embraced by New Age gurus for centuries. However, science is progressively proving that this ancient spiritual practice improves physical and mental health and wellbeing. Its most notable therapeutic benefit is reducing stress and anxiety. For those who work in high-pressure health care professions, meditation and mindfulness training might be the medicine to relieve burnout in an often-chaotic and emotionally draining workplace. Burnout differs from the everyday stress we all feel from time to time; it builds up over many years, manifesting as a state of complete emotional, physical and psychological exhaustion, which results in disengagement. 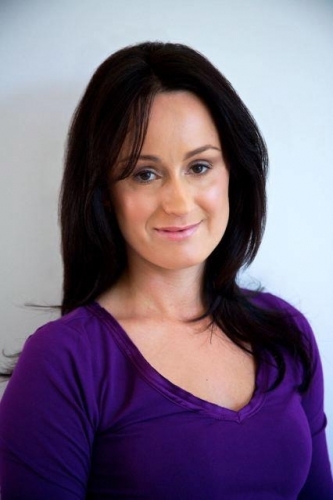 Marie Louise, a lead educator for Evolve Yourself Institute (EYI), an organisation that delivers mindfulness and meditation training to health professionals, said nurses and midwives are wired to support others, but it is not so easy for them to give that support to themselves. “They work hard, long hours and too often put others first. This pattern within the mindset of a carer is having great deficits of burnout, stress and staff retention. “We educate on the importance of ‘self-care’ and bring awareness to making this a priority, for wellbeing, sustainability and a fulfilled life experience,” said Ms Louise. Ms Louise said EYI programs provide education on the impact of chronic stress in the workplace and provide the tools, concepts and practices for participants to “fill up their own cup” in terms of self-care. Organisations also play a significant part in supporting staff to have good mental and emotional health, said Ms Louise. “Organisations that look after their employees and highlight the importance of wellbeing are seen to have a 'well' organisation. Organisations are seeing the return on investment through staff retention, less sick leave, engagement and overall wellbeing. “This program is now seen to be of importance within the health sector, this is the beginning of a long overdue shift,” said Ms Louise. When nurses and midwives practice meditation and mindfulness, they can expect to feel less stress and emotional reactivity and achieve a calmer and more centred mindset. The result is the ability to tap into more joy, happiness and overall states of positive life experience explained Ms Louise. “Stress has a myriad of ill effects on the body and mind, and the profession of nursing and midwifery is in a chronic state of the stress response. So, learning ways to relieve and modify stress response supports every aspect of wellbeing for nurses and midwives. “Just by turning off the stress response, we allow the organs to do what they are born to do and regenerate and renew, supporting the well-being of mind, body and spirit. “Every person who does an EYI program becomes aware of the impact and detrimental effects of chronic stress. They learn practices to calm the central nervous system and gain a clear understanding as to why they would want to engage in such practices. Ms Louise says she is heartened to hear stories of team leaders integrating ‘the breath’ when the ward is overwhelmed, and how they became aware of a shift in the state of the ward immediately. “Not sweating the small stuff and focusing on the goodness in their lives has supported a more invigorated life for individuals and teams. Our leadership program supports leaders to develop communication with more authenticity and transparency,” she said. Personal benefits aside, Ms Louise said patient care also improves when caregivers are trained in mindfulness and meditation techniques because it changes the way nurses and midwives interact in their environment and with patients. “The rush, to do list, not enough time and the feeling of being pulled is quite common for a nurse and midwife. Not enough time, too much to do, not enough staff - this stress and ‘dis-ease’ does not support patient care. “When we develop the capacity to live more in the moment, we develop the skill of being present to patients. It is hard to connect or engage when we are thinking about the list we have to do. “Our connection to others is amplified in presence, using practices that support present state awareness allows for patient care to be at its best. “The practices we share develop aspects of the brain that support disengagement of the stress response, thickens grey matter for developed communication and emotional intelligence and compassion rises, and a less reactive state is experienced. “This all supports team morale, patient care and sustainability,” said Ms Louise. Despite the apparent benefits for staff and patient well-being, barriers to training still exist, said Ms Louise; however attitudes are changing. “Barriers are shifting, but a key barrier is leaders not realising the positive impact of such practices, and regarding it as not necessary or indulgent. If leaders don’t realise the myriad of benefits for the culture to develop more mindfulness or wellbeing, the application or value of self-care isn't nourished. “The finances to pay for these types of programs and giving the space necessary within the system is not coming from the top down. Time and staffing sometimes is an issue, so the backing to support mindful practices is not encouraged. The culture is not at this moment set up to support the practice, but we do see this is changing,” said Ms Louise. Mark Aiken, Consultant & Stakeholder Engagement Manager at EYI and a registered nurse for 34 years, recently completed EYI’s ‘How Fit is Your Brain? More Than Mindfulness’ training – a one-day workshop and online program. 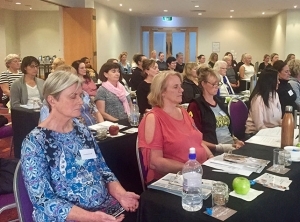 “Mediation and mindfulness training and practice are important to the self-care and wellbeing of nurses and midwives. “Nurses and midwives are increasingly using mindfulness to offset some of the pressures they experience in the workplace and at home,” he said. “It taught me to live and stay in the moment, to be fully present, appreciate nature, value what I have rather than focus on what I don’t have and the importance of breath to emotional regulation and slowing down. “Nurses and midwives care for others and are fundamental to a well-functioning health care system. It is therefore important they receive care and support and skills that enable them to value self-care. “Mindfulness and meditation training are a fundamental element to self-care,” said Mr Aiken. Dr Anita Bamford-Wade, Professor of Nursing & Midwifery Gold Coast University Hospital, said in a testimonial, following group training, that the program helped staff personally and professionally. "Evolve Yourself Institute has been overwhelmingly successful in giving our staff the necessary skills to keep themselves well and to manage challenging situations," said Ms Bamford-Wade. Continuing professional development (CPD) hours. If you want to add to your CPD, EYI has day workshops, online and leadership programs for mindfulness and meditation. Day workshops are 8 CPD, and online programs are 12 CPD. Nurse & Midwife Support is the national support service for nurses, midwives and students. The service is 24/7 anonymous, confidential and free 1800 667 877.